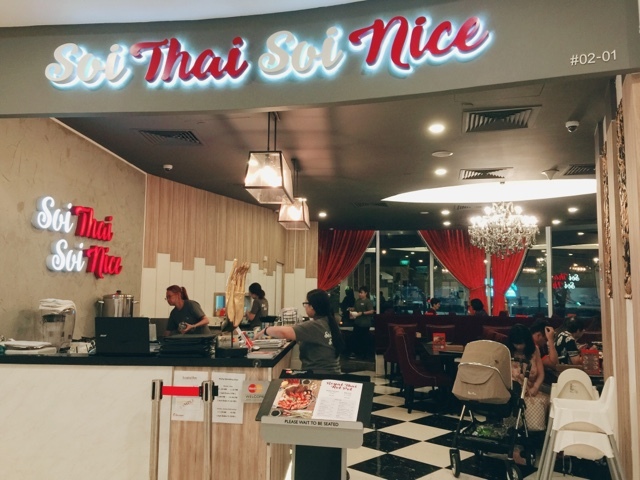 Soi Thai Soi Nice, nestled in a quiet Alexander Central Mall, is known for its Royal Thai Hot Pot, with crayfish, prawns, mussels, roasted pork, chicken sausages, eggs, mushrooms and mama instant noodles submerged in a Tom Yum broth. The staff who took our orders were mostly Chinese. I miss the friendly Thai accent which always make any Thai Restaurant feels more authentic. Nonetheless, the service was impressive as the staff were very patient and attentive. For the Tom Yum broth, diners could choose the level of spiciness. We opted for Mild as one of us could not take spicy. 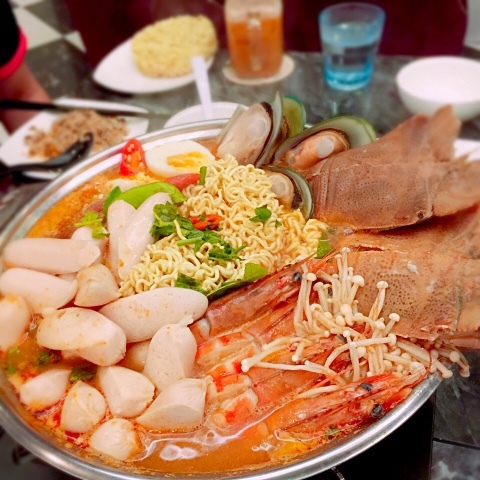 When the pot was served, it would definitely bring a smile to your face because of the beautifully arranged seafood, pork and sausages. After one of two minutes of admiring the pot, the waitress would pour the broth over the seafood and leave it to boil. 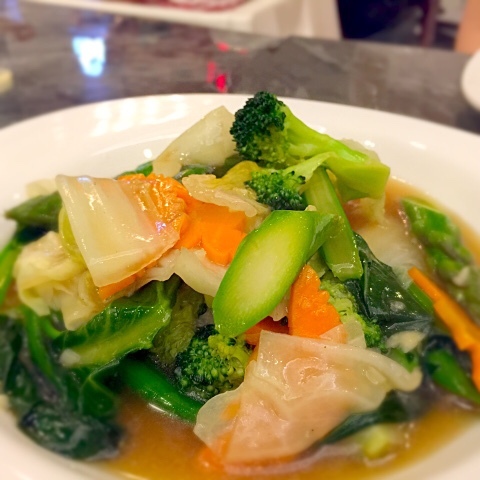 It took some time to cook the ingredients and when we checked with the staff, he explained that it was safe to consume as they had been half cooked. I was afraid that my crayfish would be overcooked so I quickly took it out. 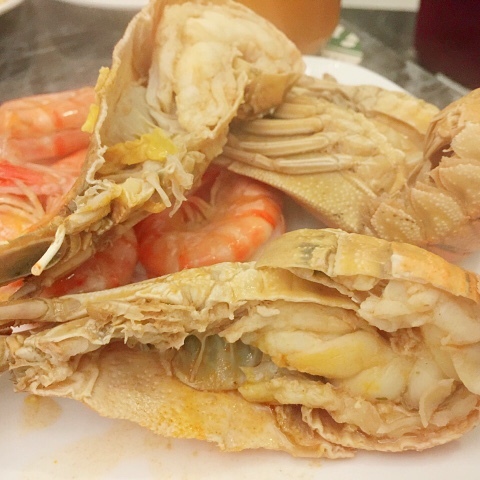 The flesh was very tender and the taste of crayfish was very distinct. The mussels were plump, juicy and most importantly, fresh. We overcooked the prawns so the flesh was a tad too tough. I enjoyed the generous amount of chicken sausages. They were firm, bouncy and flavourful, yet not too salty. My friend was very excited about the Mama instant noodles - marketed internationally by Thai President Foods. The hot pot experience reminds me of the Korean Army Stew because of the sausages but more exciting because of the crayfish. As for the broth, the Mild that we have chosen lives up to its name as the kick in Tom Yum soup was lacking and the broth was too sweet. I prefer a more sour version. I also miss the omph and kick in a typical Tom Yum Goong. The greenish chilli and red chilli sauce were fantastic. The green one was sourish and the red one was fiery. I decided to mix some of the sauces into my sweet broth. Overall, I had a good time slurping Mama instant noodles with sausages, eggs and mushrooms. The roasted pork soaked in hot broth tasted delicious. The vegetables were crunchy and thoroughly coated with the flavourful gravy. It is definitely a healthy choice to any meal. 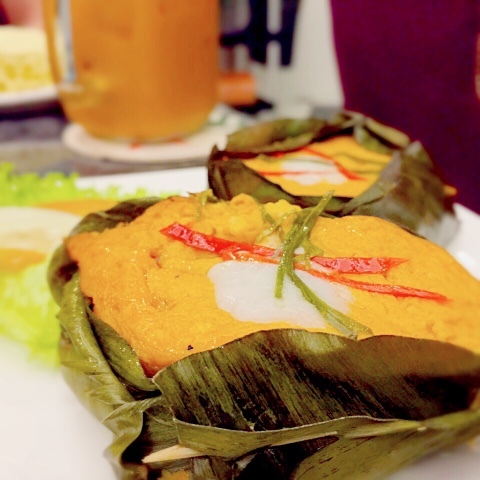 The Thai Fish Otah was oozing with the goodness of the coconut milk and spice. It had a creamy texture and for those of you who prefer a firmer texture, this might not be your cup of tea but the flavours would make up for it. 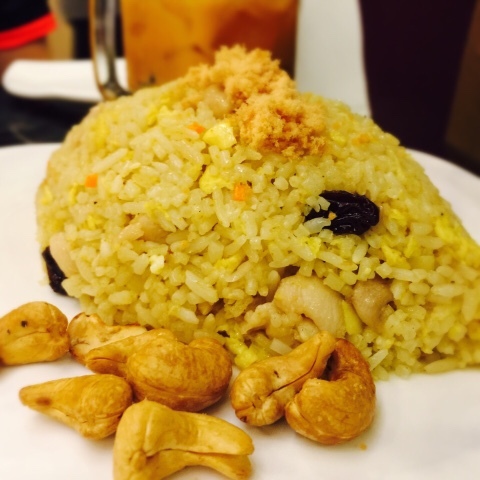 The Pineapple Fried Rice was infused with the light fragrance of pineapples. It also went very well with the cashew nuts and I wished there were more. 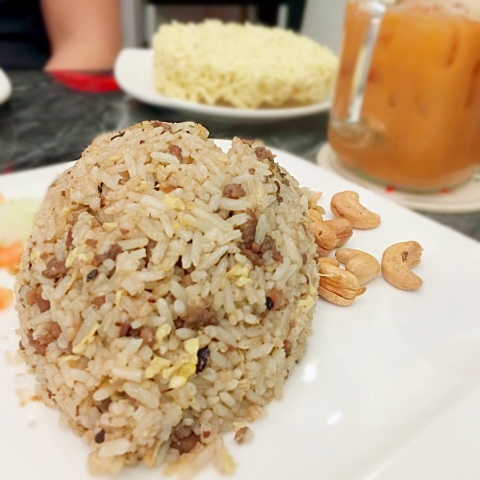 For people who prefer their rice grains to fall apart easily, you might not enjoy this dish. The rice was soft and I like my rice soft. I enjoyed the Olive Fried Rice more than the Pineapple one because it has Wok Hei - absorbed the fragrance of the wok. I could also taste the fragrance of the eggs bits within the rice. Apart from the Royal Hot Pot experience, this was the dish of the day for me. Initially, we were skeptical about the unique Cha Om. It is a member of the Acacia family and is a well loved herb among the Thais for its warm, nutty fragrance and health benefits. Cha Om contains protein, vitamins B1 and C, as well as beta-carotene. It’s also said that consuming this leaf will cool down the body and relieve flatulence. When I pulled apart the omelette, it was filled with strands and strands of the herb. It had no odd herby taste at all and its fragrance complimented the eggs very well. Where can I buy this herb to cook omelette at home? 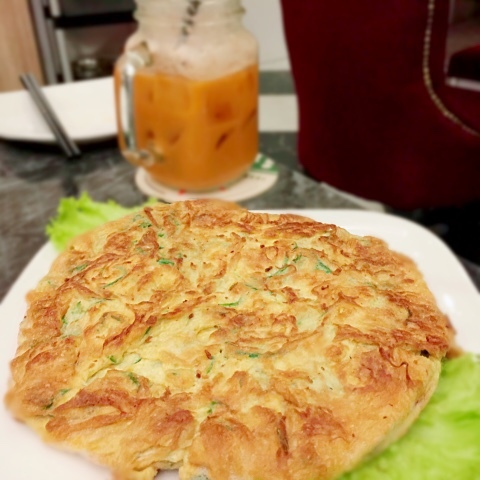 The prices of Soi Thai Soi Nice are reasonably cheap especially for their Thai dishes. The restaurant also takes care to make guests feel comfortable with its plush royal purple seatings and huge chandelier in the middle. 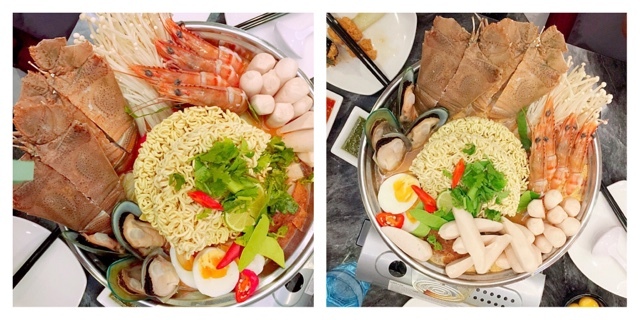 I would be back to try their other dishes and also to ensure that I would choose Spicy for my Royal Hot Pot broth!